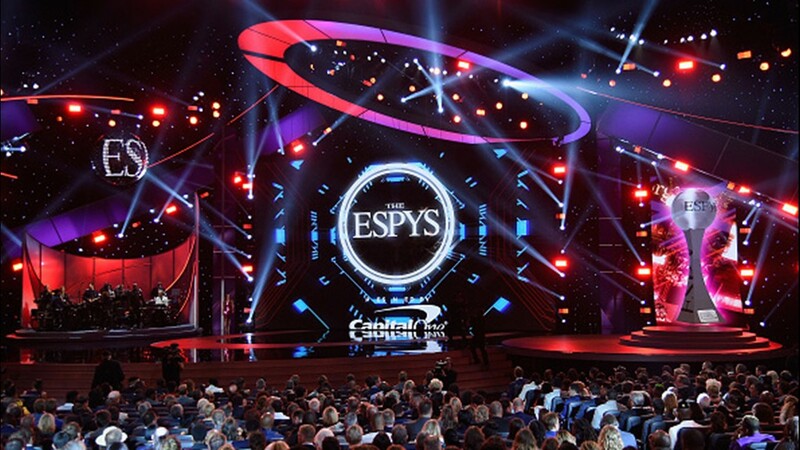 Host Danica Patrick speaks onstage at The 2018 ESPYS at Microsoft Theater on July 18, 2018 in Los Angeles, California. 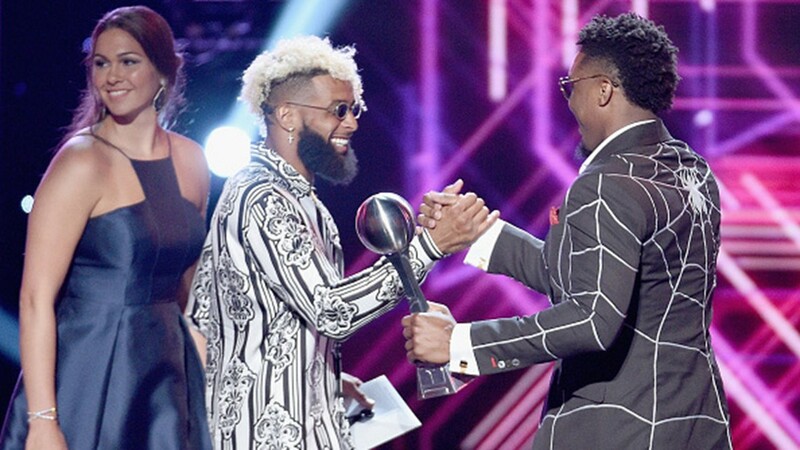 Actor Jessica Szohr (L) and NFL player Odell Beckham Jr. present the award to NBA player Donovan Mitchell onstage at The 2018 ESPYS at Microsoft Theater on July 18, 2018 in Los Angeles, California. 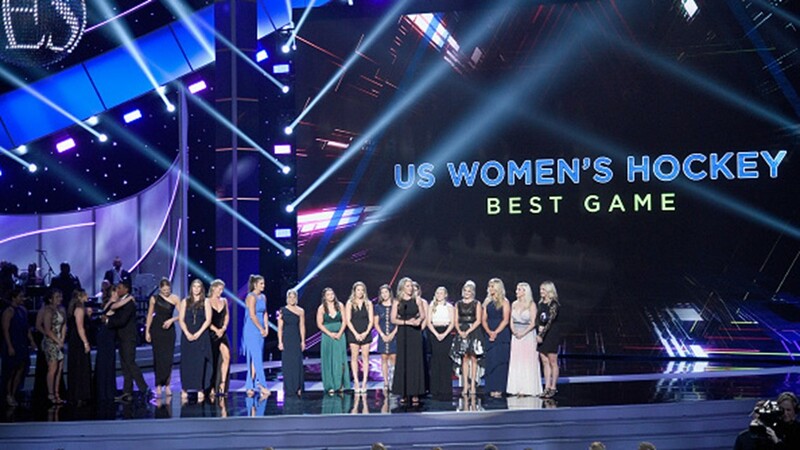 The U.S. women's national ice hockey team accepts their award onstage at The 2018 ESPYS at Microsoft Theater on July 18, 2018 in Los Angeles, California. 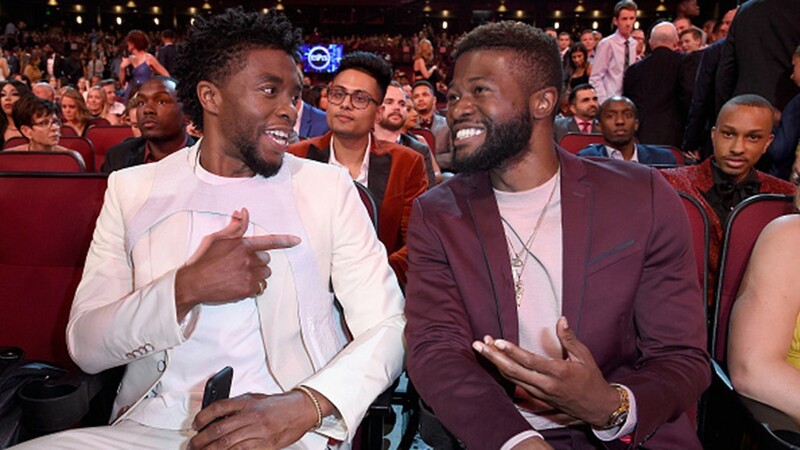 Chadwick Boseman (L) attends The 2018 ESPYS at Microsoft Theater on July 18, 2018 in Los Angeles, California. 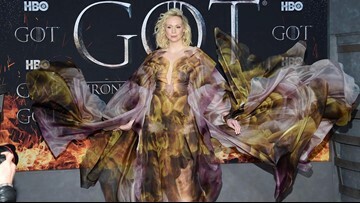 Actor Chadwick Boseman speaks onstage at The 2018 ESPYS at Microsoft Theater on July 18, 2018 in Los Angeles, California. 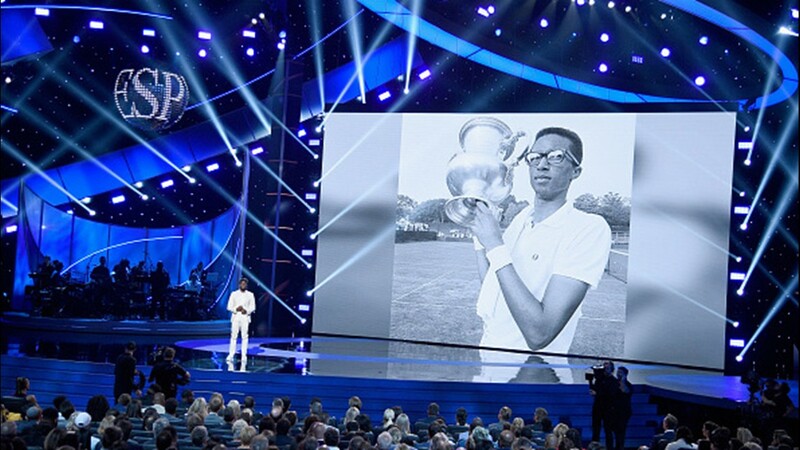 Host Danica Patrick (L) and actor Aalyrah Caldwell speak onstage at The 2018 ESPYS at Microsoft Theater on July 18, 2018 in Los Angeles, California. 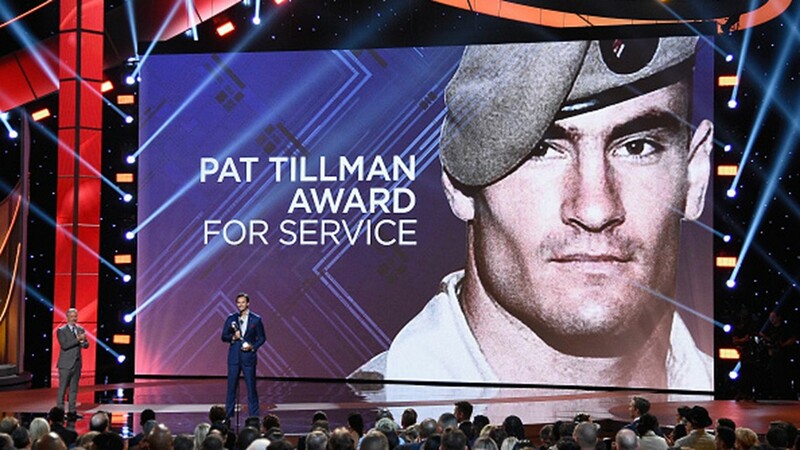 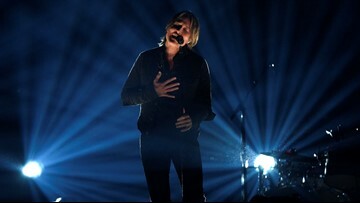 Honoree Jake Wood accepts the Pat Tillman Award for Service from Jon Stewart onstage during The 2018 ESPYS at Microsoft Theater on July 18, 2018 in Los Angeles, California. 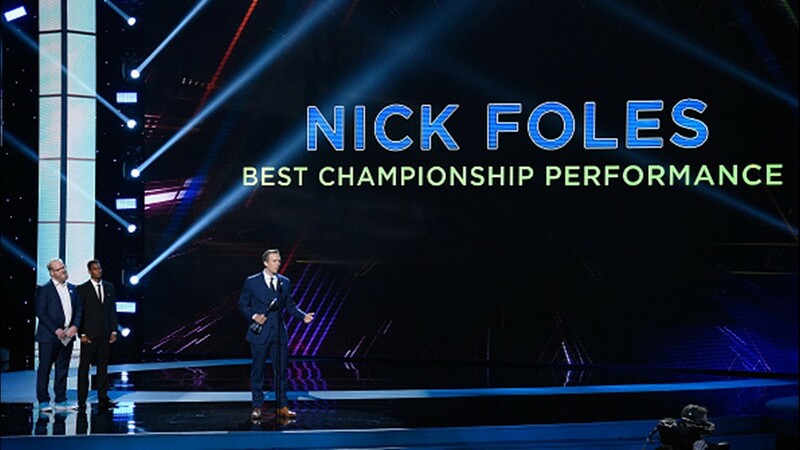 Nick Foles accepts the award for Best Championship Performance onstage at The 2018 ESPYS at Microsoft Theater on July 18, 2018 in Los Angeles, California. 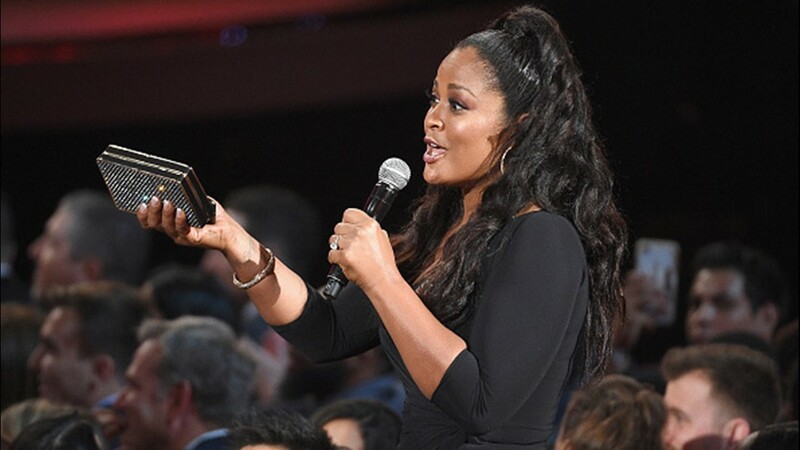 Former boxer Laila Ali speaks from the audience at The 2018 ESPYS at Microsoft Theater on July 18, 2018 in Los Angeles, California. 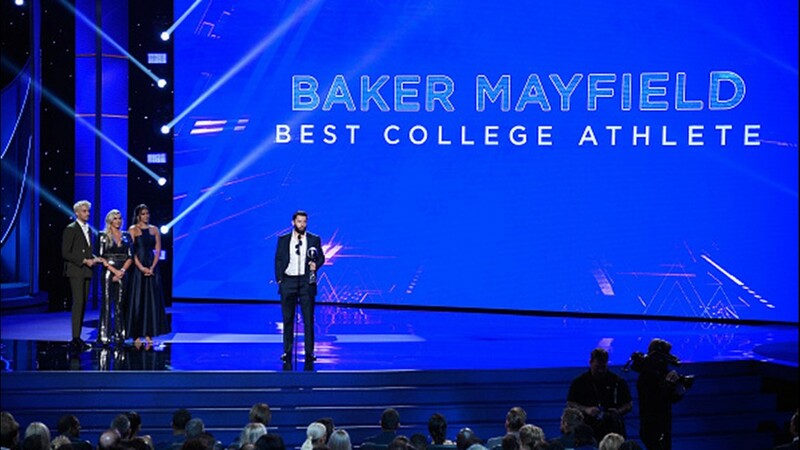 NFL player Baker Mayfield accepts the award for Best College Athlete from recording artist G-Eazy and pro wrestler Charlotte Flair onstage at The 2018 ESPYS at Microsoft Theater on July 18, 2018 in Los Angeles, California. 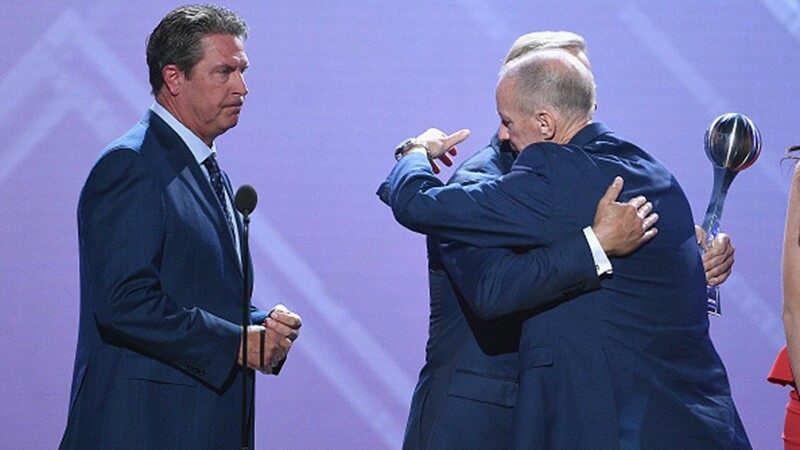 Former NFL player Jim Kelly accepts the Jimmy V Award onstage from Dan Marino and John Elway at The 2018 ESPYS at Microsoft Theater on July 18, 2018 in Los Angeles, California. 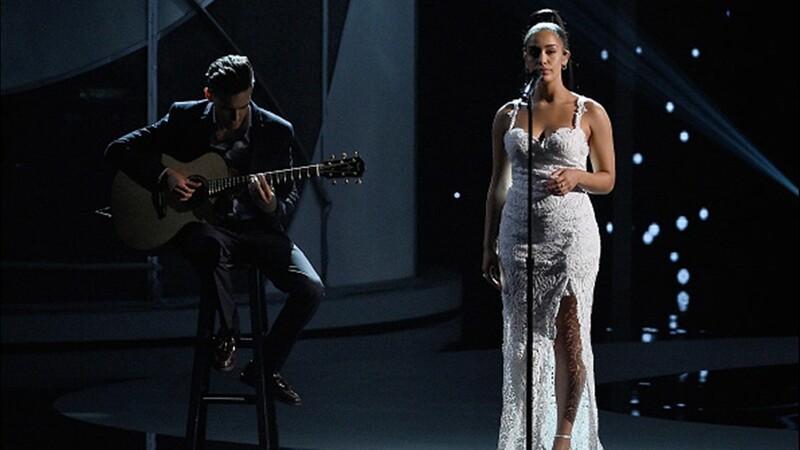 Singer Jorja Smith performs onstage at The 2018 ESPYS at Microsoft Theater on July 18, 2018 in Los Angeles, California. 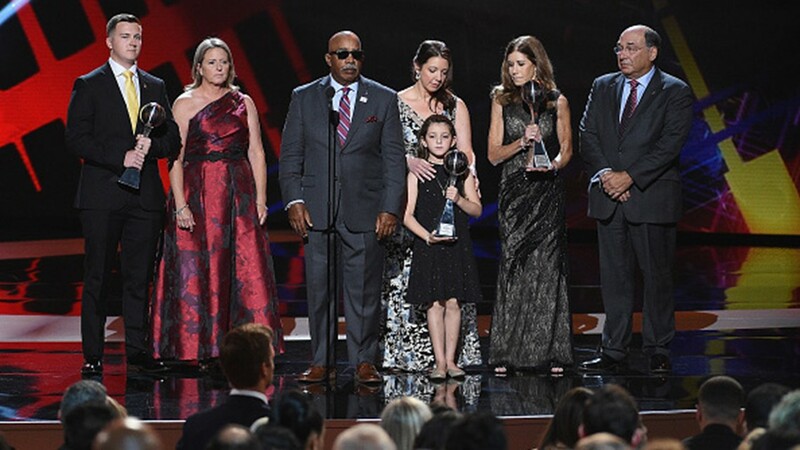 Marjory Stoneman Douglas High School coaches Aaron Feis, Scott Beigel and Chris Hixon are posthumously given the Coach of the Year award, accepted by family members and fellow coach Elliott Bonner onstage at The 2018 ESPYS. 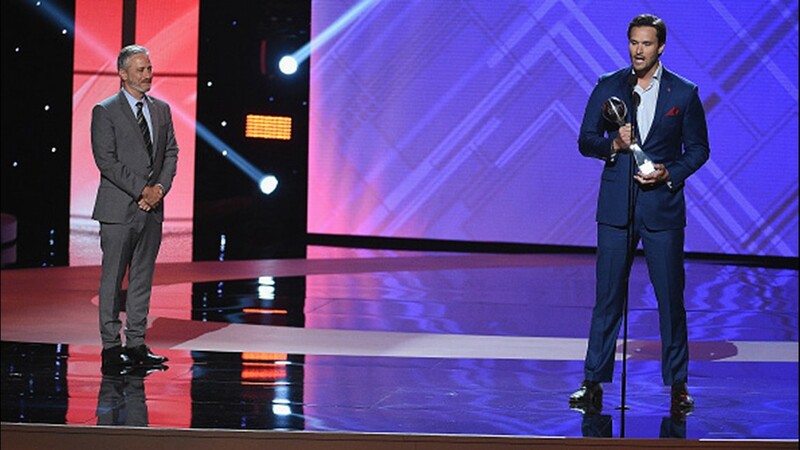 Actor John Michael Higgins (L) and host Danica Patrick speak onstage at The 2018 ESPYS at Microsoft Theater on July 18, 2018 in Los Angeles, California. 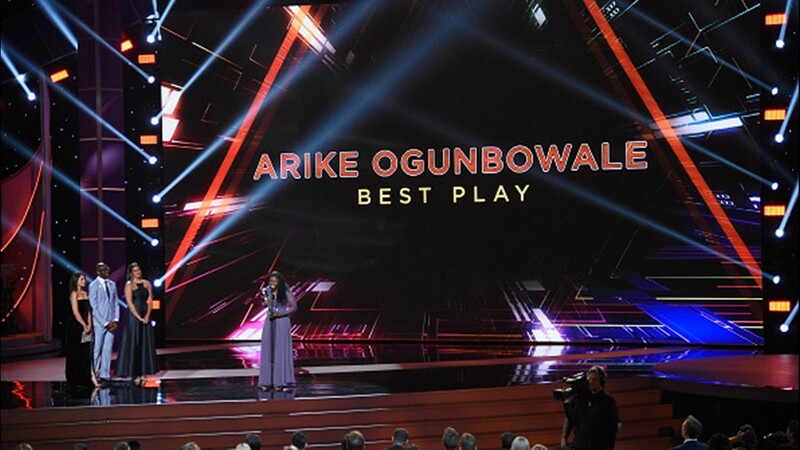 Basketball player Arike Ogunbowale accepts the award for Best Play onstage at The 2018 ESPYS at Microsoft Theater on July 18, 2018 in Los Angeles, California.